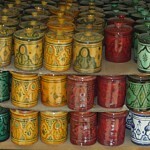 Hand built Moroccan ﻿Ceramic Vases Hand-crafted and hand painted in Safi, Morocco. 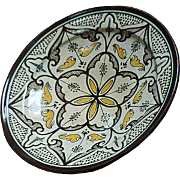 Safi is a city located in western Morocco on the Atlantic Ocean, very famous all over the World, not only for its sardine industry, but also for the quality of Design ceramic potteries. 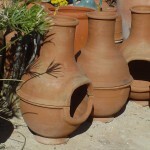 Hand Built Ceramic Pitchers and Jugs. 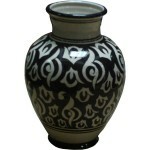 Handcrafted potteries made by Artisans. 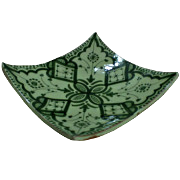 Hand built Ceramic bowls. 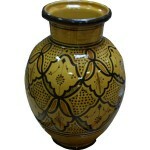 Handcrafted potteries. 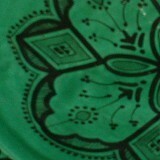 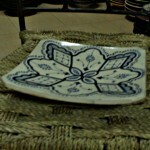 Hand made Moroccan Ceramic Platter from Safi, Morocco. 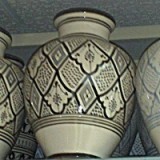 Traditional Hand crafted potteries of Morocco, very famous all over the World, hand painted, very used in Moroccan family since many years, and now, frequently used abroad. 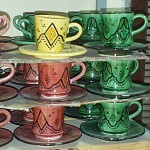 Traditional Moroccan ceramic﻿ tea cups & Mugs and ceramic coffee Cup hand made by potters of Safi. 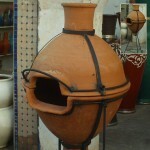 Moroccan handicraft. 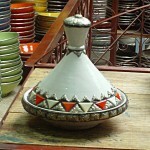 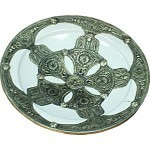 Potteries of Morocco are a symbol of the family Life, very usefull to prepare and cook recipes. 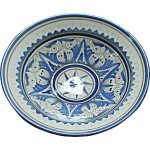 Every Moroccan family get many potteries at Home, a large Platter for coucous, another one smaller to prepare Tagine and some Moroccan Terracotta Barbecue and Brazier. 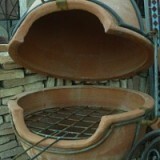 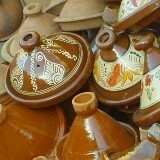 Terracotta potteries produced in Morocco for cooking are often Unglazed at Home for a daily permanent use. 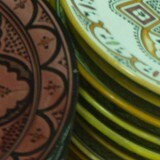 Ceramic plates handmade by famous potters of Safi (Morocco), known for the quality of their work, the moroccan potters of Safi perpetuate an old tradition according to the traditional techniques of pottery. 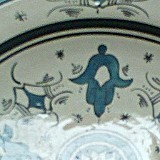 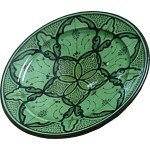 The pottery artisans offer unique plates tastefully decorated and hand painted. 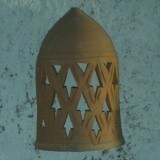 Moroccan terra cota wall sconces hand-crafted in Marrakesh, Morocco. 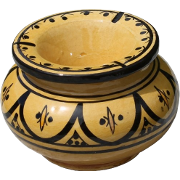 Moroccan Artisans use the clay of Setti Fadma Field in the Ourika Valley (High Atlas) to create these design terra cota wall sconces. 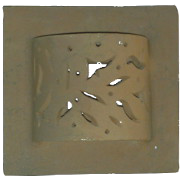 Browse our design terra cota wall sconces. 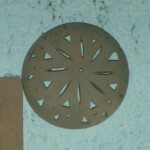 Find a wide selection of round, square, oval wall lamp. 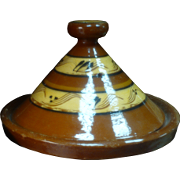 Moroccan Tagine hand-crafted in Marrakesh Medina, very common in Morocco, usually used to prepare the different recipes of Tajine with Moroccan Spices. 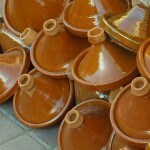 In every Riad, Hotel or Moroccan House in Marrakesh, some friends are sharing a Tajine platter. 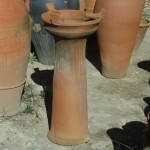 Now you can do it at Home ! 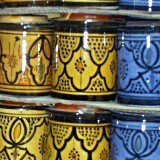 Moroccan Ceramic Sugar Boxes to complete your moroccan tea set. 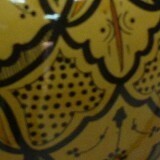 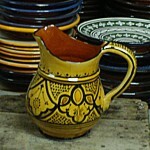 Moroccan yellow Ceramic Pitcher of Safi in Morocco with black and orange paterns. 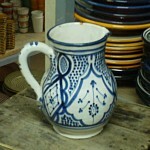 Moroccan White & Blue Ceramic Pitcher of Morocco for a moroccan ambiance at Home.